In 2012 BT decided to remove one of the old under-used red telephone boxes from Thurlestone Village. They offered it to the Parish Council for the princely sum of £1. Kit, a parishioner, heard about this and offered to take care of the box if they agreed to purchase it. Which they did but in fact never coughed up the £1! 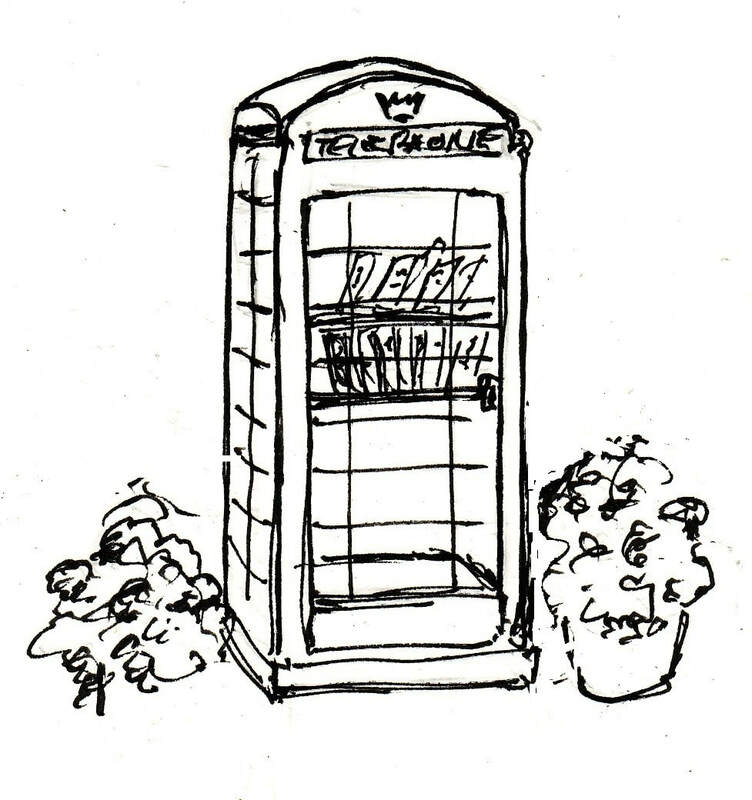 A Telephone Box Committee was formed who had it painted, which the PC paid for, and then built some shelves, filled them with books and called it the THURLESTONE PHONEBOX EXCHANGE. ​It is unlocked and the idea is that you take a book and leave a book. If you can’t leave one then you can make a voluntary donation in the Telephone Box tin in the local shop. It is decorated for high days and holidays such as the Olympics, the Paralympics, Halloween, Christmas, Easter, St George’s Day and many a Royal occasion including the recent Queen’s 90th. It attracts a great deal of attention and has been the scene for broadcasts on BBC Radio Devon and for several years BBC’s DJ Shep has turned on our sparkling lights at Christmas and gathered a large crowd to sing carols. We have held art exhibitions by the Parish School in the phonebox and to celebrate William Shakespeare’s 400th anniversary ran a limerick competition which attracted over eighty entries which were subsequently published in a small booklet. At the same time the Parish school ran a parallel competition which was won by an 8 year old. We have raised £3,000 for two defibrillators for the Parish and made donations to other local charities. In May 2013 we twinned our Phonebox with a similar one in the village of Marden in Wiltshire run by Lalu and Sue. Six members of our committee plus two dogs spent the weekend in Marden, where the village feted us royally and a grand ceremony took place with the swopping of commemorative plaques. BBC Wiltshire did a live broadcast. The Thurlestone Phone Box Exchange is all about having fun and it is very much enjoyed and appreciated by not only the villagers but by the many visitors that come to Thurlestone. We often find people posing for photographs beside it, particularly wedding parties as it is opposite the Church lych-gate and when possible is decorated specially for the occasion. You can see more about the Thurlestone Phone Box on our Facebook page here.